The care system must stop institutionalising disabled children with complex mental needs at a young age, a review says. The study focused on youngsters with challenging behaviour and a mix of mental health problems, learning disabilities and autism. It found that an inadequate care system habitually forces these children into institutions when they are young. The youngsters faced life hidden from society, deprived of their right to an education and community life. This practice also created a huge cost to the taxpayer. Dame Christine Lenehan, from the Council for Disabled Children, conducted the review on behalf of the UK’s Department of Health. She drew evidence from civil servants, clinicians, managers, parents and young people. The study found no clear vision for the way the care system treated this group of disabled children. No one took ownership or accountability across a fragmented system. The finding represents a blow to numerous Government initiatives following the Winterbourne View scandal in 2012. A reporter filmed abuse of people with learning disabilities at the care home in South Gloucestershire, resulting in six staff being jailed and five given suspended sentences. Dame Lenehan’s review found 170 under-18s with learning disabilities and/or autism in inpatient care, and 635 aged 18-25. More than a thousand children (1,129) were in 52-week residential schools. The costs of inpatient care and treatment for each of these children could amount to hundreds of thousands of pounds each year. The review confirms that this is not a group of children ignored by Government programmes. It gives examples of excellent in-patient care from highly committed staff. Despite this, the study concludes that the system is failing to significantly improve lives. 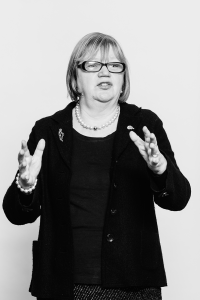 Dame Lenehan said: “There’s a well-worn path for this group of disabled children, away from their home communities into long term placements that often act as a last resort. “Hidden and separated from the rest of society, these children become ‘special cases’, for whom the aspirations we have for other children and young people don’t apply.